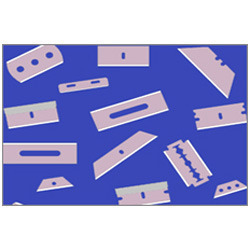 We are instrumental in manufacturing and supplying our clients a wide range of Packaging Machine Cutting Knives. Owing to the vast industry experience of this domain, we are offering a huge collection of high-quality Recycling Knives to our valued clients. These products are offered within committed period of time. In our extensive product range, we are highly engaged in manufacturing and supplying a quality-approved range of Packaging Machine Zig Zag Knives. With our in-depth knowledge of this domain, we are actively engaged in manufacturing an excellent quality range of Corrugated Packaging Knives. With our in-depth knowledge of this domain, we are actively engaged in manufacturing and supplying an excellent quality range of Packaging Machine Cutting Knives. Our clients can avail from us Industry Packaging Knives in various high grade alloy steel. 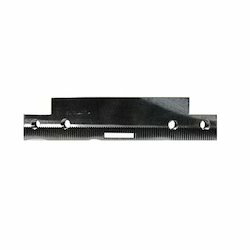 These are offered with blade for continuous stationary with and without perforation. Available in various sizes, our range can be customized as per the requirements of our clients.